The project is the idea of two partner organisations in Zimbabwe: St Albert’s Mission District Hospital which serves 120,000 people in Mashonaland Central District in northern Zimbabwe, and the Italian non government organisation CESVI. They pioneered a program in Zimbabwe which halves the rate of transmission of HIV from mothers to babies. The PMTCT (Prevention of Mother to Child Transmission of HIV) program was subsequently adopted elsewhere in Zimbabwe and has been very successful. They constructed a Waiting Mothers’ Shelter at St Albert’s hospital, in which pregnant women can reside during their last weeks of pregnancy, so they are close to medical facilities when they start labour. 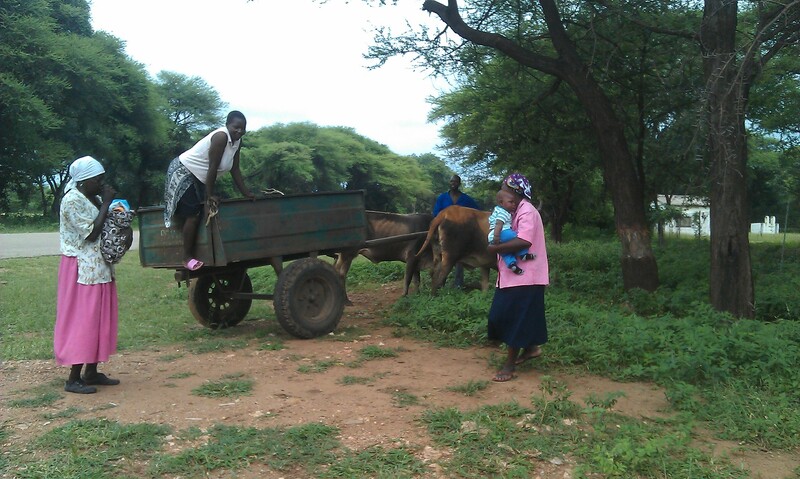 Maternal mortality is a major problem in Zimbabwe, and it is getting worse. A major contributor to this problem is inadequate transport services to enable women to get to hospitals or health clinics. Some women need to use ox carts to travel large distances. Some walk large distances, despite the advanced state of their pregnancies. Others take their chances and give birth in their villages without adequate facilities or care. All these options can end very badly if things go wrong with the delivery. Petrol and electricity are scarce and expensive in Zimbabwe, but there is plenty of sunshine. St Albert’s and CESVI had the innovative idea that perhaps solar powered vehicles might help to transport pregnant women. They searched the internet and they found the University of South Australia and Team Trev, who had raced an electric car 28,000km around the world in 80 days of driving using just $400 of electricity. Team Trev and UniSA have embraced the design role in the African Solar Taxi project, and after visiting Zimbabwe in February 2013 have spent two years hard at it. 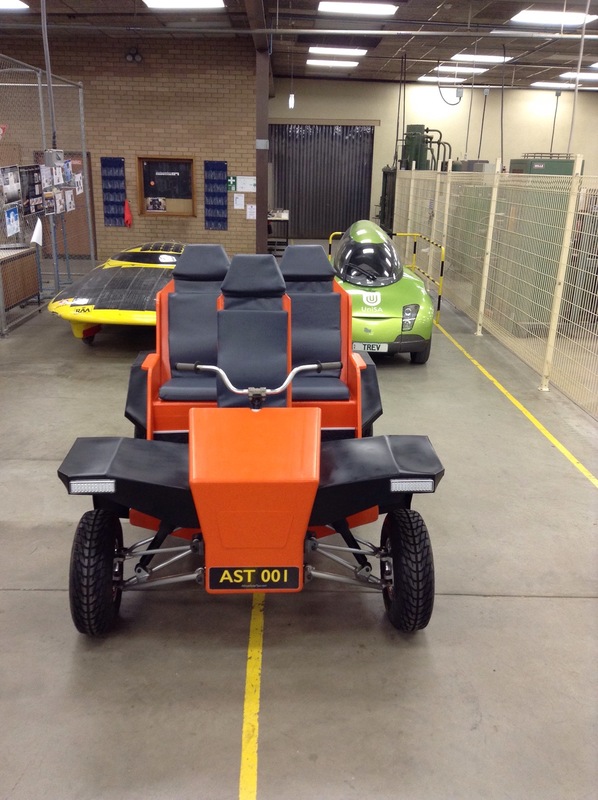 Engineering and industrial design students from UniSA have undertaken projects in support of the project, and our team of volunteers has worked weeknights and weekends over two years to make this vehicle a reality. Shortly we will begin test driving the prototype vehicle. When we are satisfied that it is viable and reliable, we’ll accompany it to Zimbabwe to consult further with communities and officials and to start field trials. If trials in Zimbabwe are successful, we will work to encourage and facilitate the further development and production of solar powered electric vehicles wherever they can help alleviate transport poverty, to improve the health and the lives of people who currently lack decent transport services. If you like the work we’re doing, we’d love to have you connect with us or support us. Please get in touch. This is a fantastic article, well presented and to the point. I accompanied a member from Team Trev to the Zambezi Valley in Zimbabwe 2 years ago, and it is interesting to note that what was merely a fantasy at the time, is slowly becoming a reality. Keep up the good work all you guys at Team Trev. Hi this is a great article. You should lanche this idea in europe!